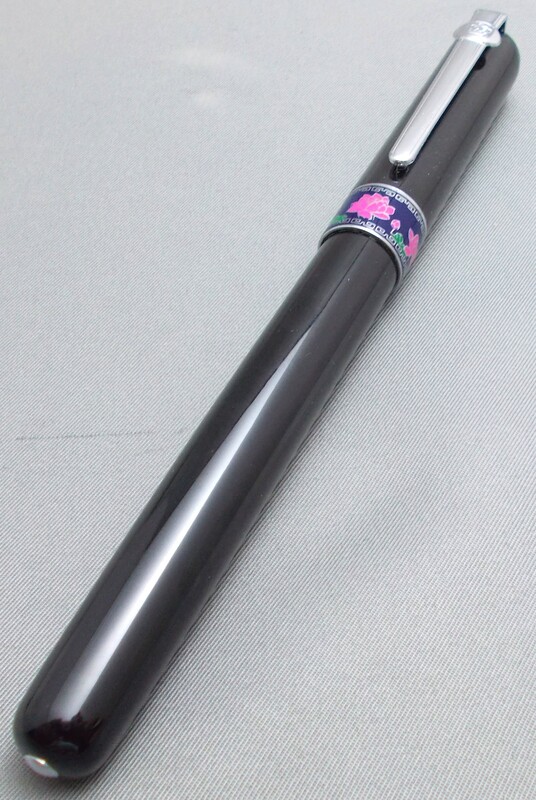 Introducing a multifunction pen from Duke, which can convert from a faux brush for Chinese calligraphy to a rollerball tip, either fed by liquid ink. 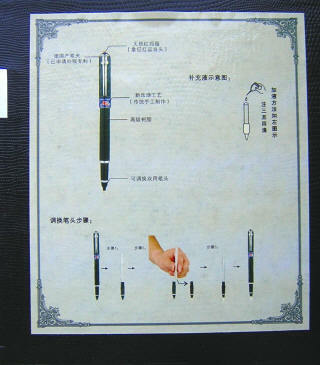 The lacquer-over-brass pen measures 5-1/2" capped, 6-1/2" posted with brush (or 6-1/4" with rollerball), and 4-3/4" with cap held aside (4-1/2" for the rollerball). 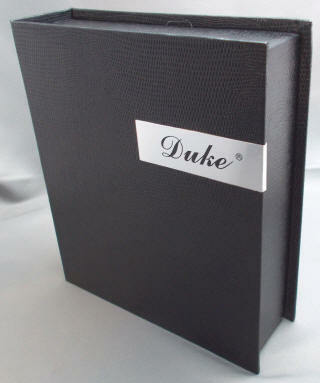 The cap has the standard Duke clip, with crown logo, but is topped by a lovely ruby jewel. The cap band is encircled with cloisonné-style lotus blossoms, and opposite the clip is a raised silver representation of the bodhisattva Guanyin, the Chinese goddess of mercy. There is a simple barrel-end decorative button, to balance the ruby on top of the cap. 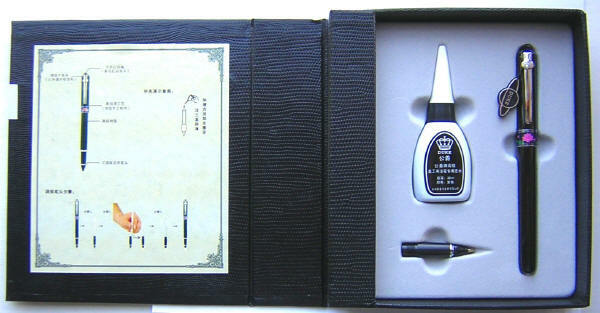 Removing the slip cap (which re-seats with a secure 'snap) reveals the flexible calligraphy 'brush', fed by liquid ink. Made of a soft, sponge-like material, the faux-brush allows for the writing of traditional Chinese characters (or Japanese 'kanji'), with a fidelity as close to using a real calligraphy brush and ink stone as I've seen. The pen also allows use of a super-smooth rollerball, fed from the same ink source as the brush. 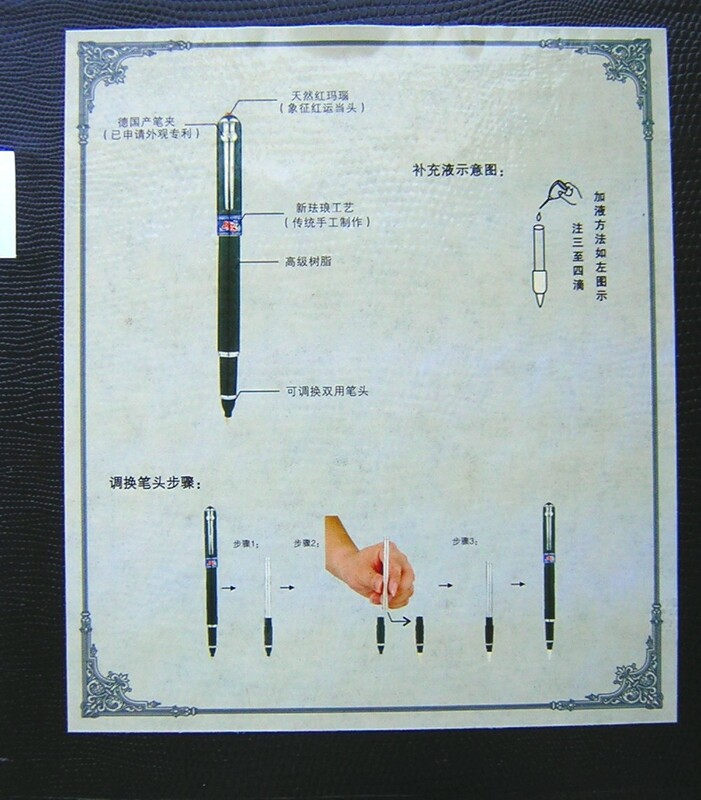 This is accomplished by unscrewing the pen's barrel, which exposes the metal ink reservoir. Although unthreaded, I found that pretending to 'unscrew' while giving a slight pull on this metal tube works best in separating it from the tip. 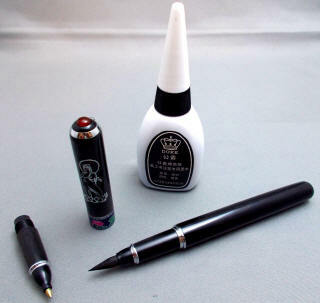 This can be done to either exchange between the brush and rollerball tips, or to fill the reservoir from the included bottled ink. 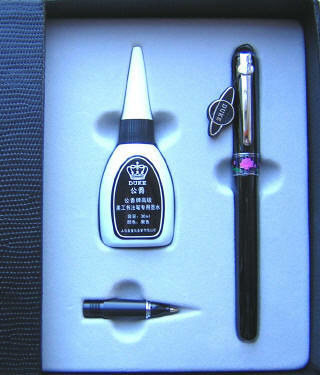 The gift-boxed pen includes a bottle of specially formulated black ink, which was designed to work flawlessly with both the rollerball and the faux-brush. Just 4 to 6 drops, applied with the eye-dropper end of the ink bottle when the pen begins to run dry, allows for continual writing, measured as 400 meters worth using the brush, or 1500 meters worth with the rollerball! The rollerball's metal tip allows for the most demanding writing, from the Sunday crossword puzzle to multipart forms. 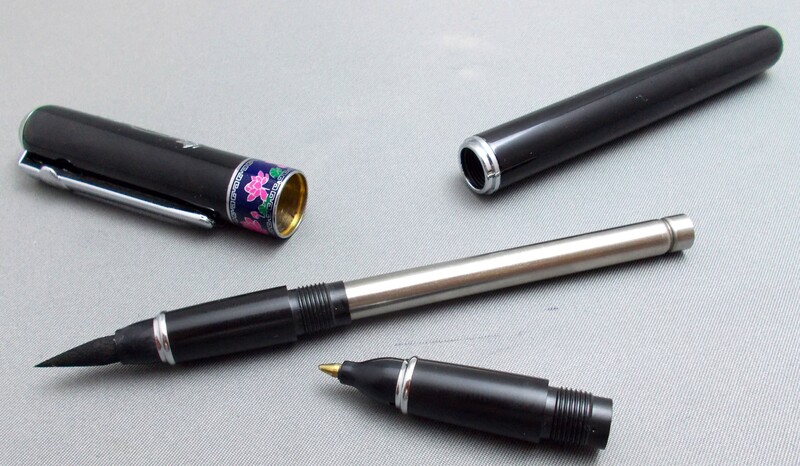 But, unlike the pasty 'ink' used in a conventional ballpoint, this liquid-ink rollerball provides for a smooth, skip-free writing experience, allowing for a quick note -- or an extended writing session. The large gift box, in the shape of a book, has a faux crocodile finish to it. If you decide not to keep your pen supplies in the insert after opening, just pull it out and you have a perfect hiding spot for valuables on your bookshelf! (Shhhhhh).